You have been blogging a while. You probably invested a lot of time and money into your blog but have realised that something is still not working well: your mobile visitors are abandoning your site because it takes a long time to load. You may wonder – If I have a responsive theme, why is my mobile site slow? Am I doing something wrong? How can I fix it? 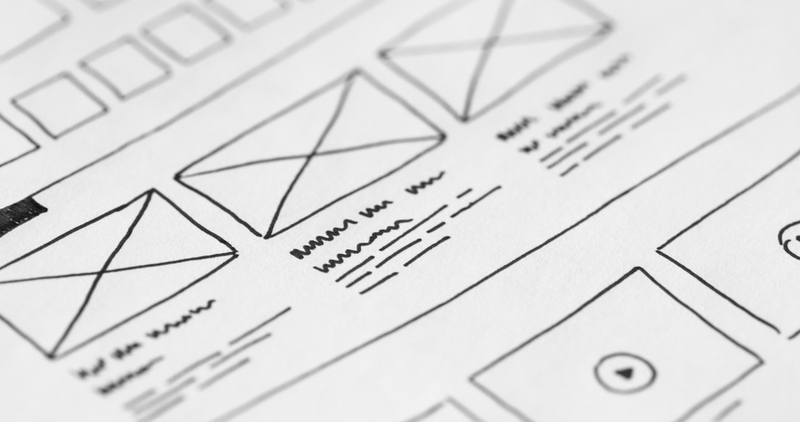 The first thing you should know is that responsive web design does not mean better performance. Although it is necessary to incorporate elements of responsiveness into your web design, keep in mind that it has no impact on speed. Therefore, you will need to optimize your website for mobile beyond a simple responsive theme and make sure it is fast if you want to engage and convert your mobile visitors. Once this point has been cleared, we’ll go through the rest of your previous questions and show you five easy ways to speed up your WordPress site for mobile. According to Google, waiting for pages to load is what users dislike the most when browsing the mobile web. And once loaded, they expect them to be fast. Though you can do little about connectivity issues, you can easily take action to limit your page size and get rid of the unnecessary content. You can do so by simply showing different content to mobile visitors. There are some WordPress plugins such as WP Mobile Detect that help you hide content for mobile devices. But you can also serve different content on mobile using a separate site or URL. Most parallel mobile sites use an “m” subdomain. This gives you the ability to tailor a fully mobile-centric user experience, although it requires a higher cost of maintenance. Source: “The need for mobile speed” report by DoubleClick. A common reason for WordPress sites being slow is because of the size of all the elements that make up the site. Oversized images, for example, take longer to load. So it’s important that you keep your images as small as possible. Here are a few things that you can do to make sure any images on your mobile site are light and they do not ruin user experience. Remove all those images which do not add value. For many sites, simply doing this will significantly improve mobile performance. If the images have to stay, be sure that they are in the right file format. PNGs are common for graphics, JPEGs are generally better for photographs, while GIFs should only be used for animated images. Using an inappropriate format can increase file size and affect quality when images scale for different screen sizes. Then, make sure that your images are compressed for the web too. There are a number of plugins and tools, such as TinyPNG, Smush, or ImageOptim which will reduce the weight of your images without losing quality. For more image optimization tips, check out our post How to Optimize your WordPress Images for Mobile. Another way to speed up your WordPress website for mobile is to simplify your design. Webpages are made up of many small images, such as icons and buttons. All of these components add to the page size and require an individual HTTP request to make the page render. The lighter they are the better. Otherwise, they can also slow down page load time. Here’s our recommendation: try to reduce the number of components on each page so less HTTP requests are made. Then, instead of individual PNG/JPEG/GIF images for animations, icons and buttons, use CSS and SVG (scalable vector graphics) whenever possible. These styling features can help WordPress websites load faster by keeping page size and image requests down. Too many plugins (or those poorly configured) can slow your site speed, create security issues, and other technical difficulties. If you’re seeing a major slowdown, the first thing you should do is to update the old plugins. Then deactivate or delete those that are not necessary and keep only the ones that you need for essential functionality. If this does not fix the issue, then you should double-check that none of your active WordPress plugins is harming your site speed. The first time you land on a mobile website, the elements on the page you visit are stored on the user’s device. The next time you visit the site, your browser can load the page much faster and fewer HTTP requests need to be made to your server. This happens because part of the content is already downloaded and stored – your browser makes a copy of the elements to display after the first load and serves that version to subsequent users. The process is known as browser caching. There are a lot of caching plugins that will help you enable browser caching and reduce load times. W3 Total Cache, WP Super Cache or WP Rocket are some of the most popular ones. Here’s a post on how to choose the best one for your site. If your site is having loading issues because of its many installed plugins, note that a caching plugin will not solve this problem. Remember to keep your WordPress plugins updated and disable all those that are unnecessary. 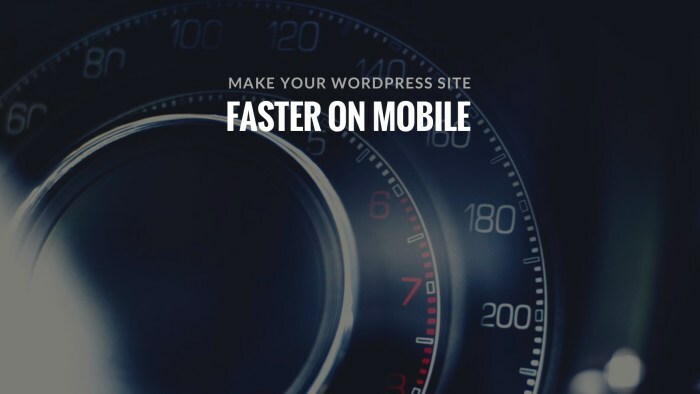 Improving the speed of your WordPress site on mobile is a smart thing to do to help visitors get where they’re going faster and keep them engaged with content. There are a lot of other advanced tactics to speed up WordPress for mobile. But if you are not a techie person only the above improvements can help you make a big impact on your visitors experience. You just need to remember one thing: keep it simple. Speed matters and a few seconds can make all the difference.